No. of Vacancy - 325 Posts. Educational Qualification - Degree in Science with Physics or Chemistry or Mathematics from a recognised University OR A Diploma in Engineering in the appropriate discipline from a recognised University or Board. Selection Process - Selection based on common written examination & Physical Efficiency Test. 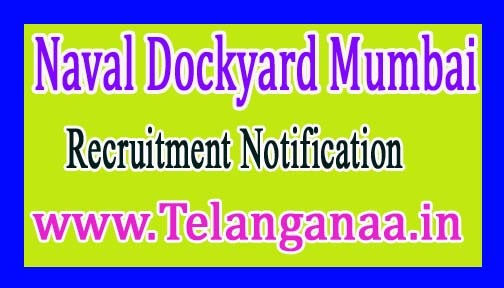 How to Apply Naval Dockyard Mumbai Vacancy - Interested Candidates may apply online through Naval Dockyard website https://jobsuchi.com/godiwada/index.php on or before within 21 days from the date of publication of the advertisement in Employment News Paper.